I love pilates and yoga, I tend to alternate between the two and have two fabulous London based centres: Carme Farre at Studio Carme for pilates and Saskia Vidler for a yoga session at home. Saskia also runs classes at the TriYoga centre. I have always been active and as a teenager I loved tennis. With my children getting older and now having tennis lessons I will definitely be playing more in the summer. For seven years after having children, I had all but given up any formal type of exercise through lack of time and energy. My only real exercise at that time was walking but that was weather and children permitting! I am not a huge fan of gyms but can really feel the benefit of strengthening my body and enhancing my wellbeing achieved through pilates and yoga. I have also taken time out to look at my nutrition and the supplements I take and am feeling better than I have done for years. I am definitely feeling the positives of being physically stronger, I think having three children quite close together takes its toll on the body, this coupled with years of standing to do hair colour had really affected my posture and I had recurring neck and head tension problems including crippling migraines. These are all but alleviated now having improved my core strength, alignment and general feeling of wellbeing. That has a knock-on effect in that I have more energy which helps when looking after seven children ( I have three children and four step-children!). I try to build time into my morning routine before I get on with my working day. 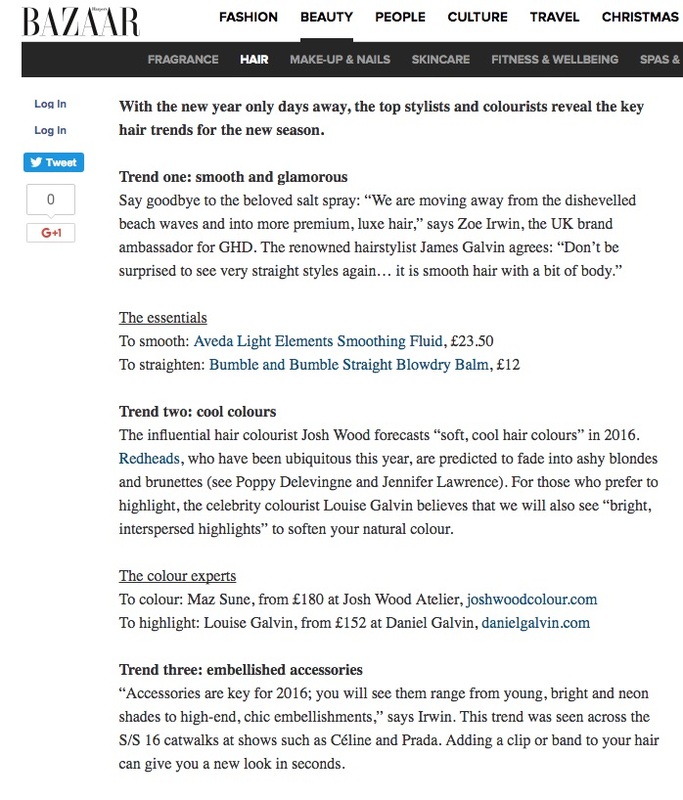 Our products are recommended in an issue of Net-A-Porter's The Edit.